Come and enjoy a fun and relaxing time for night of relaxing, family fun, or a morning of enjoyment. We have classes for all types and all ages! Have a Question? Frequently Asked Questions Here! 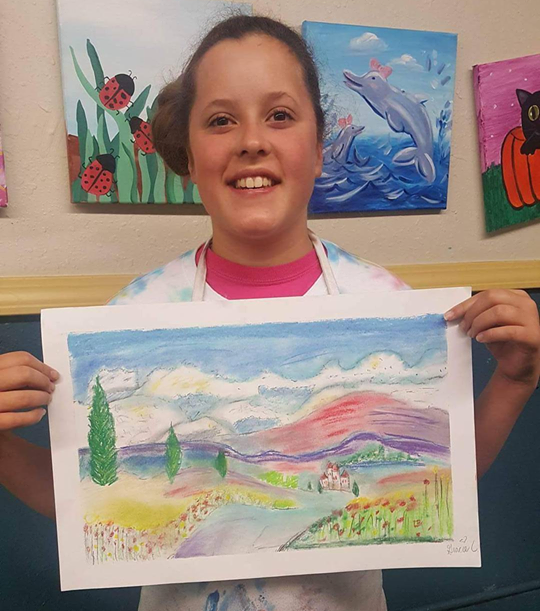 Our evening entertainment painting class that offers whimsical and relaxing paintings that are created in varying styles and subjects to help to express yourself in the most exciting ways. 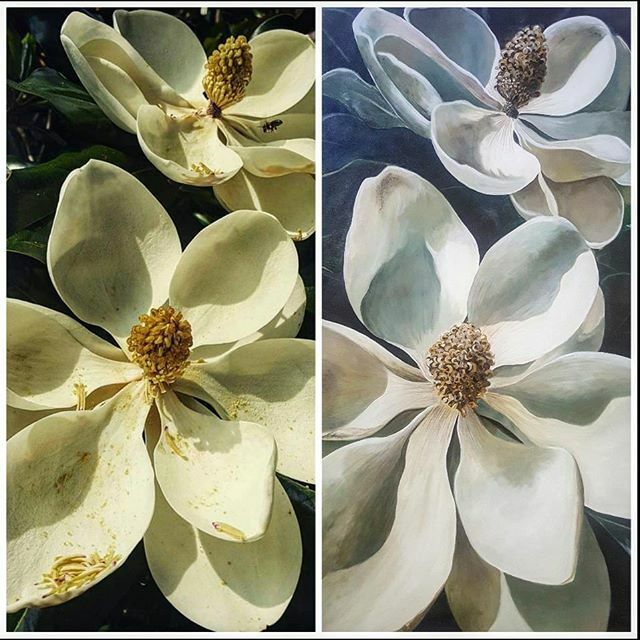 If you are new to painting, you are a perfect candidate! 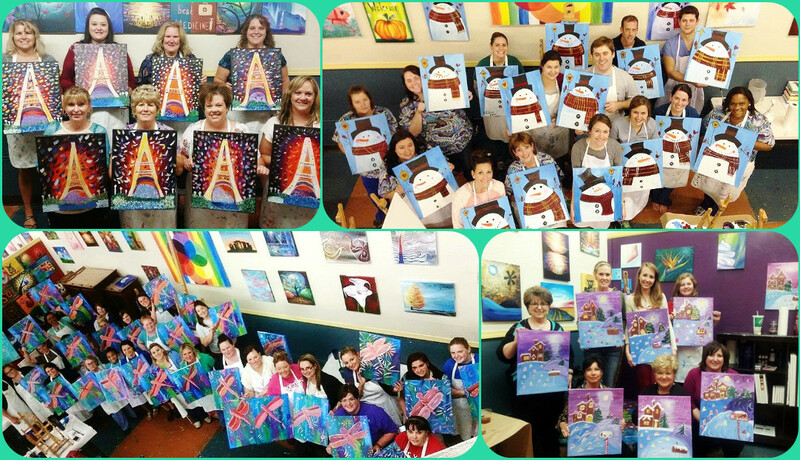 Our Paint Night Parties are for adults ages 18+ and ‘adult beverages’ are allowed. We do id. 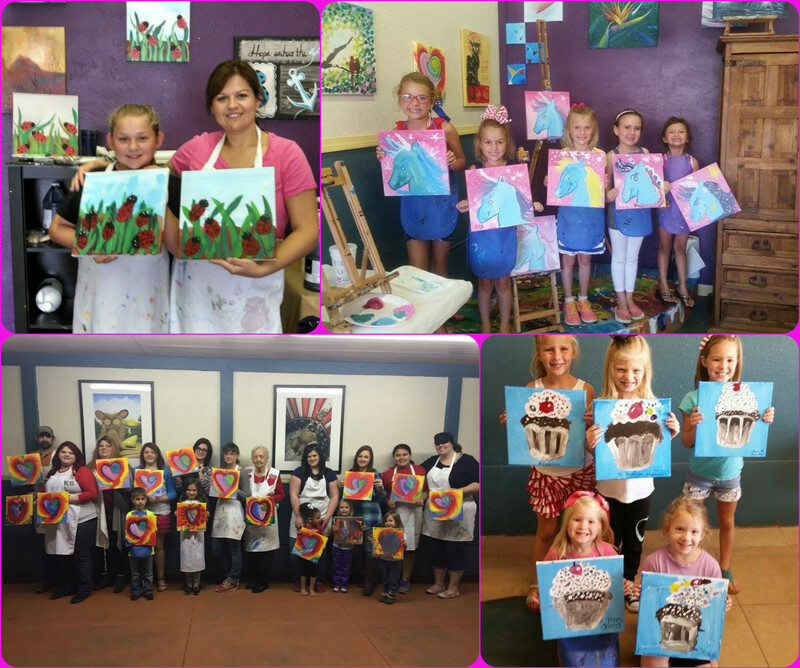 Our family and kid class parties are offered to provide a family friendly atmosphere and everyone can join in the fun! Fun outing for the whole family! 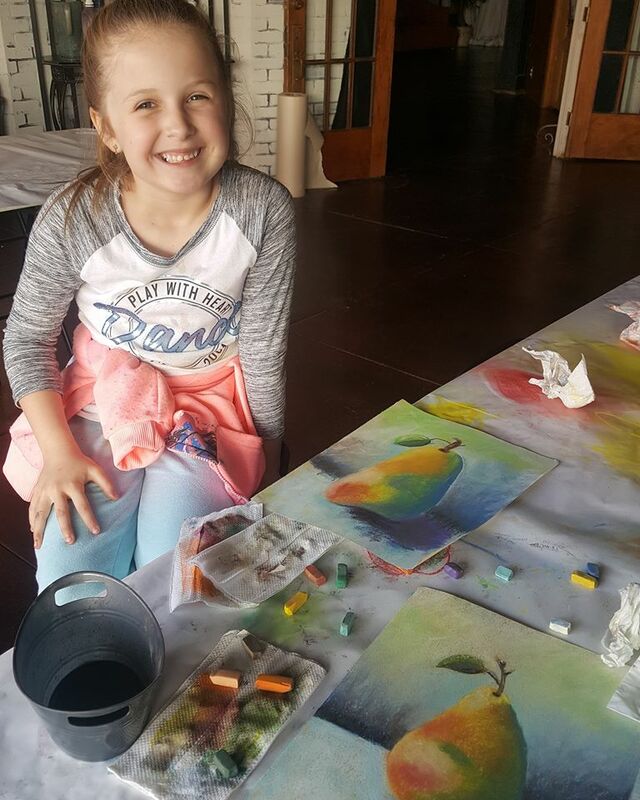 Family Art Day is where you can bring everyone in your family to come in and paint a picture that everyone will enjoy! It’s fun entertainment for the entire family! This will be scheduled once a week on Saturdays. Check our our calendar for our upcoming classes! This is our after school program for kids of all ages. We will meet every Monday of each week. 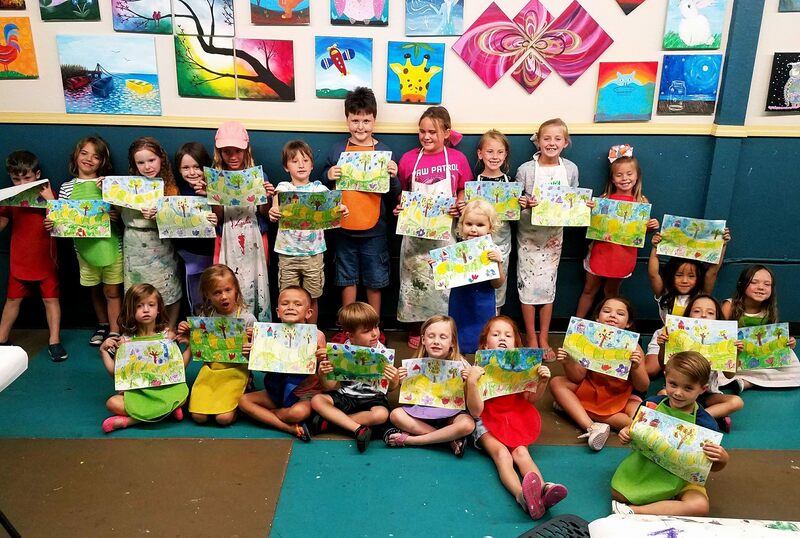 This is open to public classes where kids will get to learn something new about art every day and become a member of the Elements Art Club. 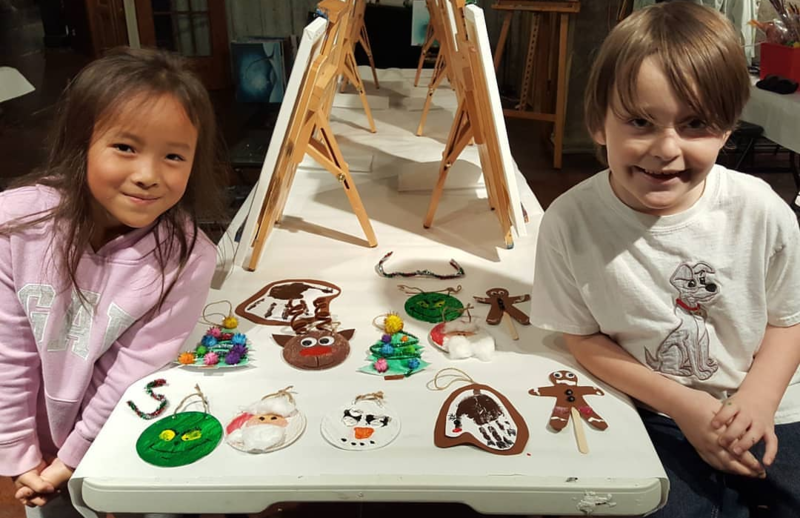 These weekly Art classes for children helps to nurture your child’s love of Art. We use the fundamentals of art to develop new talents while designing unique creations using a variety of different materials and tools. Each project focuses upon developing skills, learning techniques and expanding knowledge. We use a wide variety of mediums that we incorporate into each class. Some mediums include: oil and soft pastels, acrylic and watercolor paint, colored pencil, graphite, and mixed media. 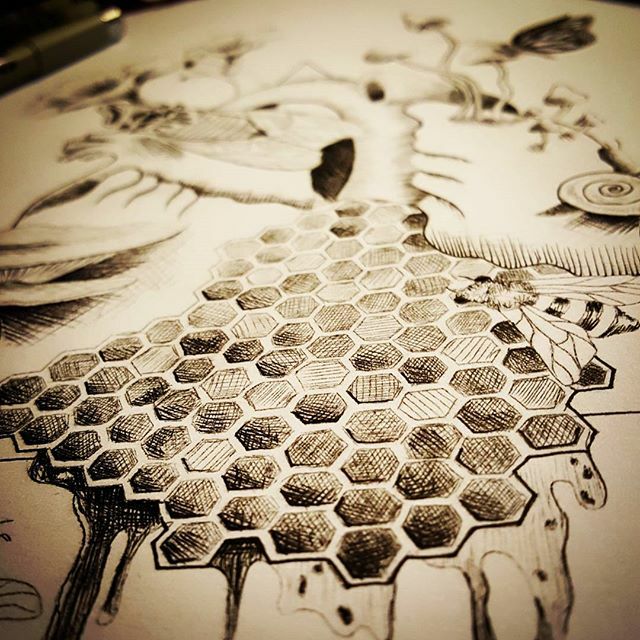 Every project is fun, exciting, and introduce mediums in an interesting way. Monthy rates. Siblings discounts available. Register on our calendar today! You can paint it any style you wish! 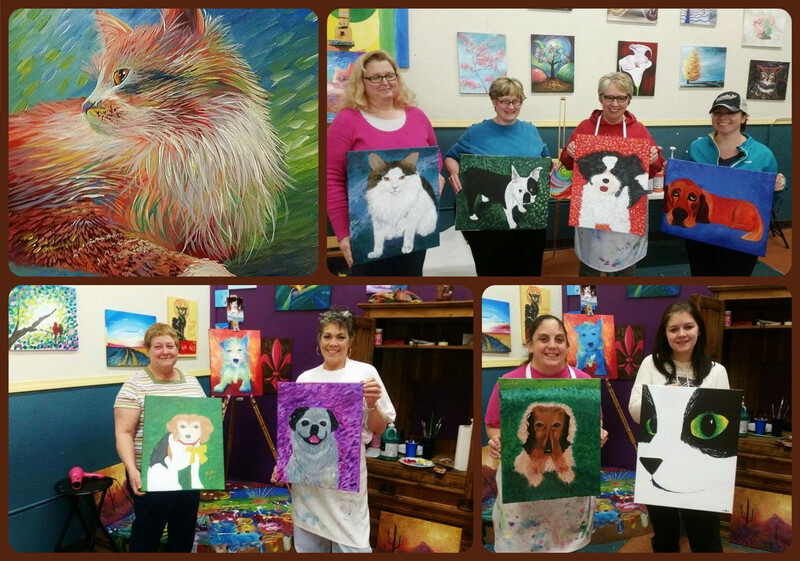 Our pet portrait class is a favorite for painters that LOVE their pets! 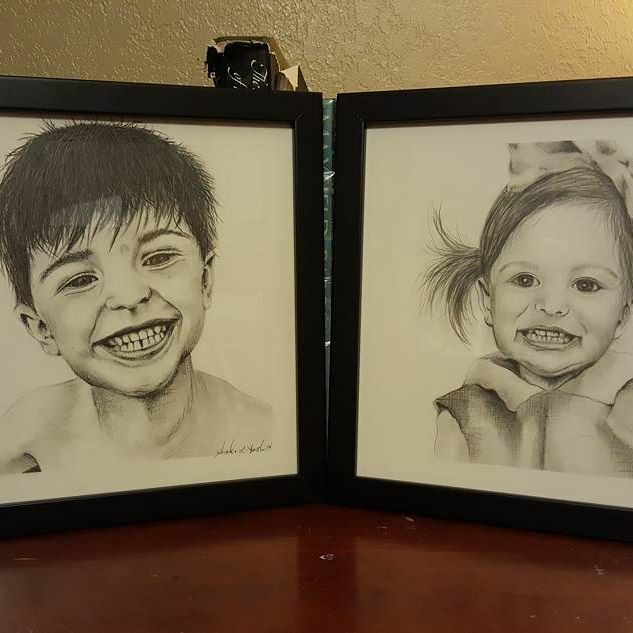 We sketch out your chosen picture and will help you paint it in ANY style you wish! We encourage creativity and for you paint it the way you want it to look! These will be scheduled once a month, so keep a look out on our calendar for our upcoming class! Artists have long painted outdoors working in natural light and creating wonderful pieces of art. We have beautiful scenery in Texoma and many locations to supply us with inspiration for improvisational paintings! We would like to invite you to become a member and join us and other local artists in going out into the elements and painting or sketching what nature has to offer us! These classes are seasonal, and are scheduled around the weather. These are one-on-one instruction for your advancement in the medium of your choice for adults or children of all ages. Most mediums we focus on are acrylic painting, graphite, charcoal, pastel. We will work with your schedule! Contact us today at 580-209-2492 to start your lesson today!